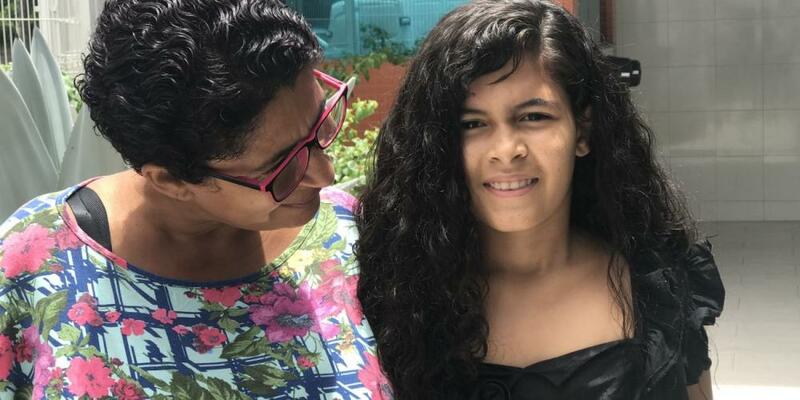 Mother didn’t expect her daughter, Juliana Santos Ferreira, to refuse a cake for her 11th birthday. “I want to bake you a chocolate cake,” Mother said a few days before Juliana’s birthday on a Friday. Juliana had seen a crowd of homeless people sleeping at the bus stop when she and Mother had gone out, and she could not get them out of her mind. Mother thought it would be dangerous to go to the homeless and wanted her to forget it. Mother was glad that Juliana loved God, but she wasn’t interested in going to church with her. After Mother said she couldn’t cook soup without a big pot, Juliana decided to take matters into her own hands. Without Mother knowing, she visited the homes of several Seventh-day Adventist neighbors and asked whether they had a big pot that she could borrow to cook soup for the homeless. Two neighbors gave her big pots, and she brought them home on Tuesday, three days before her birthday. Someone called for the manager. On Thursday, the day before Juliana’s birthday, she stopped at the first grocery store after school and received a huge bag of vegetables. The other stores also gave her food, and then the Adventist neighbors began knocking on her door with donations of food — and clothing for the homeless. Mother was amazed at Juliana’s determination to help the homeless, and she had to admit that she didn’t actually know how to make soup. When several Adventist women realized this, they came over to help make the soup on Friday morning. The homeless people were delighted. They formed a circle around Juliana and, clapping, sang “Happy Birthday” to her. Juliana was embarrassed but smiled happily. Afterward, they still had a lot of soup and clothing, so they drove around the city and stopped whenever they saw homeless people. Four hours later, they finally ran out of soup and clothing. Mother was so impressed with Juliana’s kindness and generosity. She felt ashamed that she hadn’t wanted to help the homeless. She realized that Juliana was filled with the love of God — and she wanted to be filled with God’s love, too. Without Juliana knowing, Mother began to take Bible studies. Two months after Juliana’s birthday, Juliana was in church one Sabbath when the pastor announced that several people would be baptized. Then Mother descended into the baptismal tank. Juliana couldn’t believe her eyes, and she began to cry with joy. Mother said she decided to give her heart to Jesus because of Juliana’s example. “I was baptized because of the determination of my daughter to be an Adventist and to be faithful to God,” said Mother, 43, whose full name is Maria de Fatima Daumerie Santos. She also is trying to find other ways to help others. She hasn’t cut her hair in seven years, since she was 5, and she is planning to cut it to provide hair for children who have lost their hair because of cancer. She also distributes tracts about Jesus on the street and, as a treat for neighborhood children, she collected donations of candy and toys and threw a big party for them. She and her mother dressed as clowns for the party. Part of this quarter’s Thirteenth Sabbath Offering will help open a community center in Salvador, Brazil, where people can take Bible studies and healthy cooking classes. Thank you for your mission offerings. First Baptisms as Milestone Evangelistic Meetings Start in Japan “This is only the beginning,” says world church leader Ted N.C. Wilson. May 12 - Hope Arrives at Brickfield Some children in this community are not able to attend public schools, because they don’t have the proper documentation. For them, the Life Hope Center is their only hope to receive something similar to a formal education.